Winter greetings! I hope this letter finds you in good health. We wish to thank you for your continual support and interest in our activities. Because of the aftermath of the nuclear accident, in Fukushima the situation is far from being resolved. No-one in the affected area knows when they will finally be able to return to their homes, though their houses are actually fine. They are feeling anxious under this stressful situation. 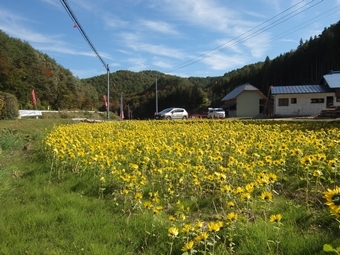 In fact, the issues that people are facing in Fukushima are becoming more and more complicated and to accurately respond to the needs in Fukushima, especially concerning mental health care; attentive assistance is needed. We continue our activities under the slogan “Do not forget” and “Keep up”. In solidarity as a memorial event as well as to send our thoughts to the people of Tohoku who are still suffering from the consequences of the earthquake and also to raise funds exclusively for Tohoku: We decided to organise a charity concert and a buffet, we are very lucky to be able to work in collaboration with Andaz Tokyo who is graciously offering its beautiful venue in Toranomon Hills to host our charity event. 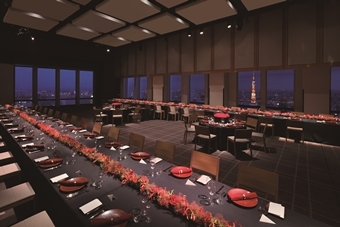 We are inviting you to a very special evening on March 11th at Tokyo Studio, 51st floor in Andaz Tokyo in Toranomon Hills. For the occasion we are happy to have with us as performers the renowned tenor vocalist Matthieu Sachot, the pianist Naho Sogawa and the cellist Ryoka Yoshihama. The donation/participation is \10,000 (or more); all funds collected for the occasion will be used to support our activities in Tohoku. I sincerely hope that many of you will be able to attend and share a moment of solidarity with us on the memorial day of March 11th. Please 1) fill out carefully the application form【Word】and return it to us by E-mail info@mdm.or.jp or by FAX 03-3560-8073 before February 19th, 2) payment can be made by bank transfer or credit card, donation per person is \10,000 (minimum) to be made by February 19th. ◆Doctors of the world Japan is a specified NPO. You can receive a tax deduction on this donation. Matthieu Sachot is a French tenor based in Asia, educated in Lyon, France, at the Saint John’s cathedral choir, working with orchestra conductor Jean-Francois Duchamp and opera soprano Cecile De Boever. Matthieu has built an international career in Europe, the US and Asia across baroque, classical and modern music, appearing at the Lincoln Center, while cantoring at NY Saint Patrick’s cathedral from 2001 to 2006, then in Tokyo at the Suntory Hall and French Embassy. He has been performing at concerts and special events in Italy, Germany, the UK, Netherland, Switzerland and Spain, and took also part in TVs shows in France and the millennium at the Vatican. Matthieu has worked under the baguette of renowned harpsichordist Anthony Newman and baroque expert Andrew Parrott. He started his Asian journey 9 years ago in Tokyo, reviving choral music and taking the stage for charity concerts, including several events supported by the French Embassy, Chanel, and Doctors of the World. Now in between Hong Kong and Tokyo, Matthieu recently performed as soloist with the HK Philarmonic Orchestra and HK Bach Choir led by Jerome Hoberman. Upcoming 2016 concerts include baroque music in January, appearance in Tokyo in March and a recording for Q1 2016. After graduating from Toho College Music Department, she went to France to study at the « Ecole Normale de Musique » of Paris, where she obtained the Higher Diploma in concert performer (aka : Diplôme Supérieur de Concertiste). Later, she will also be unanimously awarded “First Prize of Musical Accompaniment” at the National Conservatory of Boulogne-Billancourt. For 2 years she is a piano teacher at the Municipal Academy of Carrières-sur-Seine in Yvelines. She also won the 1st Prize at the European Music Competition in Picardie, and 2nd Prize at the International Piano Contest of ‘Ile de France. Back in Japan, she is presently a concert performer, as well as a full-time instructor of Tsuru University and an adjunct instructor of Toho College Music Department. She learnt piano with different teachers: Mrs. K. Kanazawa, Mrs. G. Mounier, Mr. E. Indjic, Mrs. H. Cartier Bresson, M. T. Breu. She also learnt chamber music with Mrs. N. Patarcec and accompaniment with Mr. R. Rochet. Ryoka Yoshihama is a cellist, composer and arranger and has worked with orchestras, small ensembles and as a soloist in Japan, USA, UK, France, China, Singapore, Malaysia, Indonesia, Vietnam, Philippines, India, and South Africa. 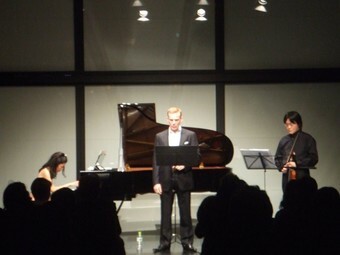 She has also presented solo recitals at Ginza’s Oji-Hall and Yokohama’s Goethe-Za. In 2011 and 2012 she held concerts showcasing her own compositions in the renowned Tokyo Bunka-Kaikan. Ryoka has performed on CDs for popular artists in a range of styles, on movie soundtracks, television shows and commercials. Creative highlights include being invited to the UK to join Roger Eno’s Channel Light Vessel and recording two albums as a member of the group. Another is Prism, a recording made together with John “Kaizan” Neptune, which blends traditional Japanese sounds and classical music. Ryoka graduated from the Tokyo National University of Fine Arts and Music and has held lecturing positions at both Ferris University and Kanto Gakuin University. Apart from her travels abroad she has also lived in the UK for two years.